Wondering what to do with those CSA sunchokes (also called Jerusalem artichokes)? Try roasting them and throwing them on top of a homemade pizza. Meanwhile, saute kale in 1/2 tbsp extra virgin olive oil on medium heat until tender and cooked down. Season with salt and pepper. Remove partially cooked pizza crust from oven and evenly spread 3/4 cup to 1 cup sauce over the crust. 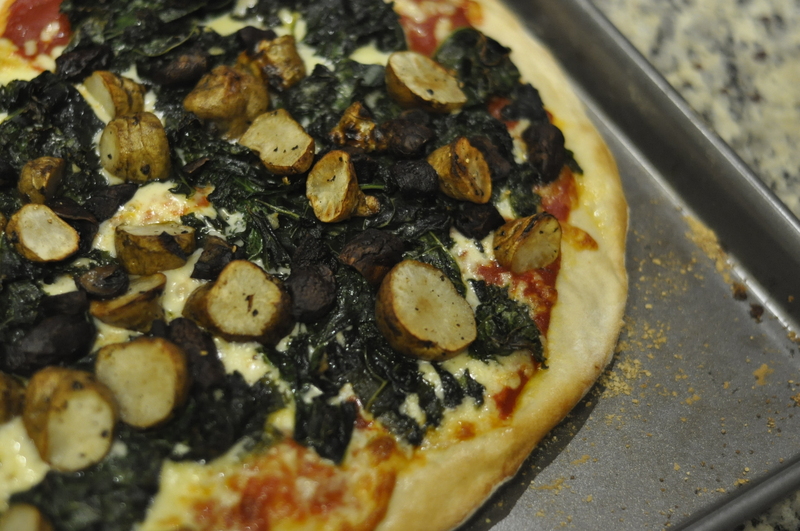 Top with shredded mozzarella cheese, kale and sunchokes.